Welcome to Land Rover Chandler! 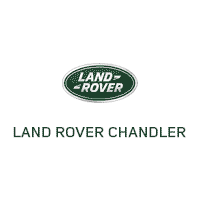 Land Rover Chandler is now open in Chandler, Arizona, and we’re excited to be your source for all things automotive! Our goal is to ensure that you’re completely satisfied every step of the way, from finding and financing your new car to bringing it in for routine service throughout the ownership process. Whether you’re here in Chandler or in the greater Scottsdale area, you can rely on us for sales, financing, and service whether you’re looking for a new Land Rover model or want to drive home in a used vehicle. Every driver will always be greeted by friendly, smiling faces and a team that listens to all your needs; that’s a Penske promise. Whether you choose to purchase a brand-new Land Rover or are looking to trade in your current vehicle, Land Rover Chandler will be there to help. Our financing department will offer clear terms and many different loan options that can be tailored to your budget and desired payment schedule. If you’re located in the greater Tempe and Mesa area and need assistance with auto sales, finance, or service, visit Land Rover Chandler today! We can’t wait to meet you.